Distortion free glass with crisp reflections. 24hours standby. 8 bright led lights makes you no more worries for using in the dark. 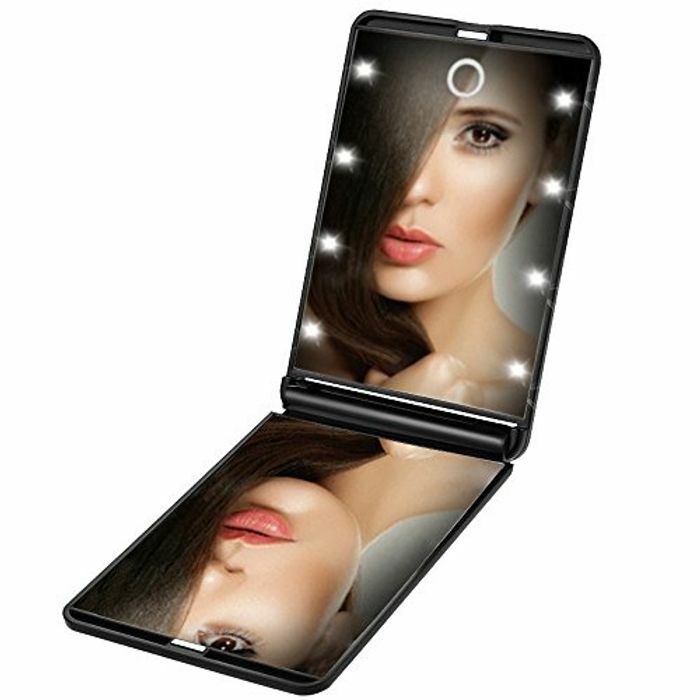 Lighted Makeup Mirror and Magnification all in one, 1X & 2X Magnification on the two sides of mirror. Foldable and Portable. Foldable size 5" x 3.3" x 0.4". Perfect for travel and doing makeup on the go. Touch switch and light adjustable,easy and convenient to use. Battery operated and cord free, Included CR2032 Button cells. Conveniently fits in your purse, handbag or glove box, carry it anywhere. Please note it is not waterproof, so keep out of the shower.